Click here to view full-size example. 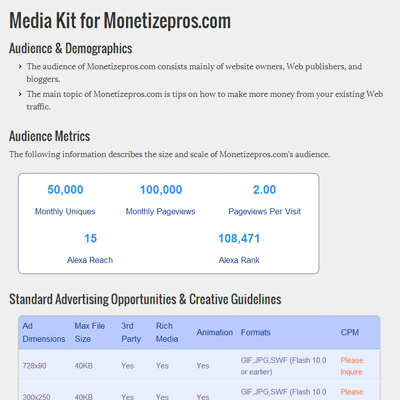 Use the MonetizePros Media Kit Generator to create a custom media kit for your own web site. This professional, bespoke document will help you impress and delight digital ad buyers. Creating your custom media kit only takes a few moments, and it's absolutely free.